The US Navy launched its latest attack submarine on Saturday. 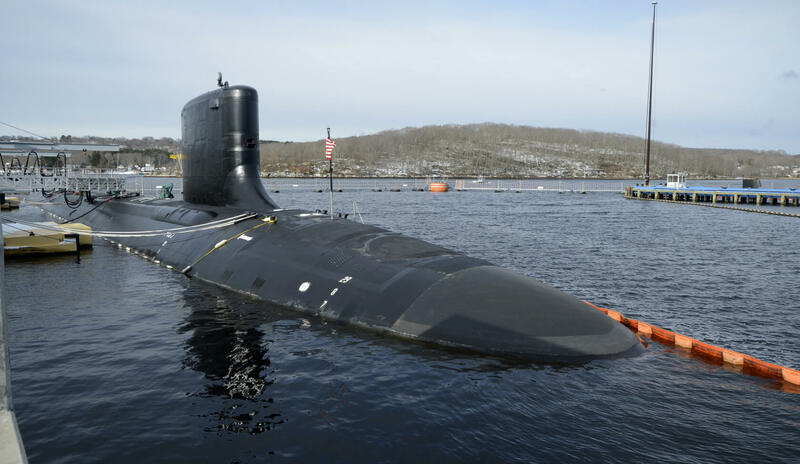 The USS Colorado is a Virginia-class vessel based at the Naval Submarine Base New London in Connecticut. As just another military vehicle it probably would not warrant much attention. However, the Colorado comes with a piece of unconventional hardware that is making headlines — an Xbox 360 controller. Modern submarines no longer use periscopes. They now come equipped with “photonics masts.” These are long telescoping masts equipped with HD imaging sensors that provide a 360-degree view. The image from the sensor array is viewed on monitors within the ship. Previous vessels used joysticks to control the masts. The joysticks are bulky and expensive. The Colorado is the first sub to use an off-the-shelf video game controller as a piece of standard equipment. Considering that most kids grow up with these controllers in their hands, it is not surprising that recruits can step right in and control the photonics masts with little or no training. This is not the first time the US military has used video gaming equipment for practical applications. Back in 2010, the Air Force Research Laboratory linked 1,760 PlayStation 3 units in a parallel array creating a supercomputer capable of 500 TFLOPS. The computer was used to analyze satellite imagery.